Politicians, thespians and film directors have at least one thing in common: they like good restaurants. So when you come across a dining room which has numbered among its guests not only President François Mitterand but also Meryl Streep, Tom Cruise and Steven Spielberg, you have every reason to suppose that you have found a place for a good meal. And if you are in Venice, standing before the Ristorante Ai Gondolieri, I can assure you that your supposition is correct. 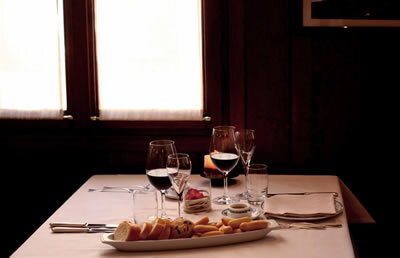 Located between those celebrated sources of aesthetic and spiritual nourishment, the Galleria Accademia and the Church of Santa Maria della Salute, and just behind that temple of Modernism, the Peggy Guggenheim Collection, this modest former tavern happily caters for those seeking sustenance of the physical sort. The owner, Giovanni Trevisan, bought the property in 1987. His restoration maintained its unobtrusive character, but transformed its function into that of a sophisticated Venetian restaurant. Now its waiters wear black suits, its napery is yellow and its glassware is by Stölzle. There is canned music, true – of which I not a fan – but it is of the pleasant, light jazz kind. It is therefore quite acceptable. Even I cannot really object to the sound of Mr Sinatra with my supper. I found the food straightforward and enjoyable. 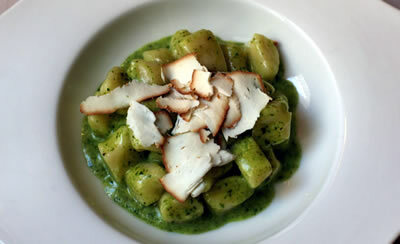 Good ingredients are cooked carefully, combined intelligently and presented in an appealing manner. Prices on the wine list run from 16€ for a local red to 630€ for the 2006 vintage of Mr Gaja’s Sorì Tildìn. Other bottles to catch my eye were: Laurent Perrier brut champagne (100€), 2010 Tignanello (145€), 2010 Solaia (280€) and 2008 Gaja Barbaresco (275€). From my own drinking, I will recommend to you a 2011 red from the Veneto for just 32€, not over-heavy, but smooth and elegant, with lots of black fruit (Palazzo della Torre, Allegrini). 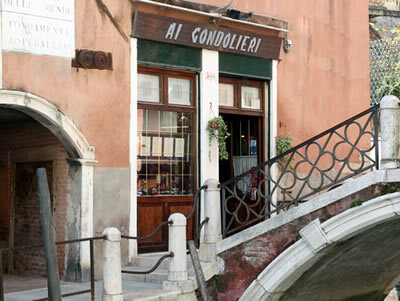 Whether your interest is politics, acting, directing or simply the astonishing beauty of Venice, I think you will enjoy the Ristorante Ai Gondolieri. 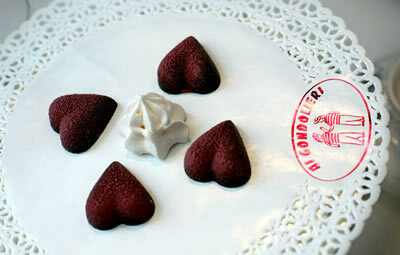 It is a pleasant, welcoming restaurant with good food and friendly service. I found its discreet charms entirely to my taste. Dorsoduro 366, 30123 Venice, Italy.